PANCAP collaborated with the Integral Orientation and Research Center/ Centro de Orientación e Investigación Integral (COIN) for a face-to-face knowledge exchange event in Santo Domingo, Dominican Republic from 4-8 June 2018. COIN is a social interest institution based in the Dominican Republic that implements HIV prevention, care, treatment and support programmes for key populations. 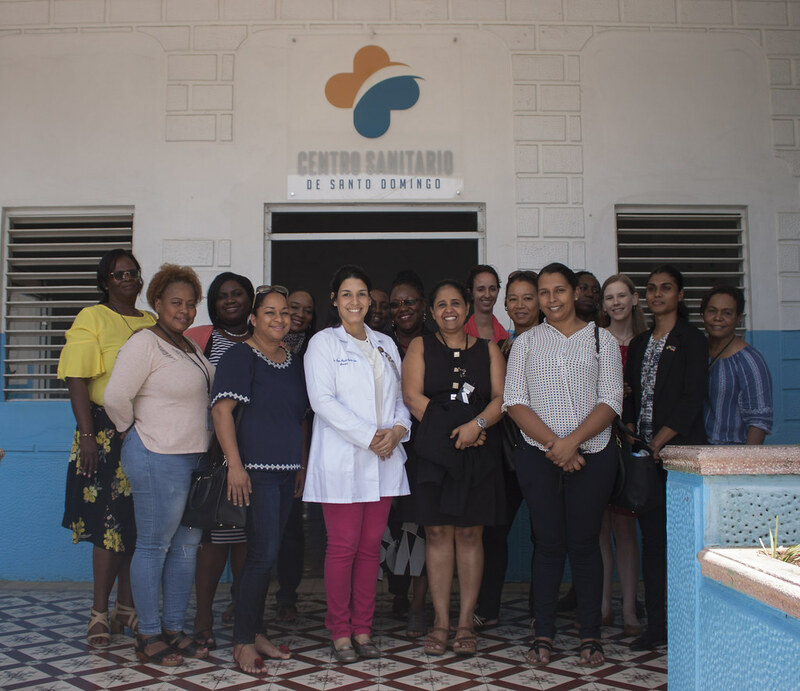 The entity has been a key partner of the Ministry of Public Health and Social Assistance (Dominican Republic) and grassroots, community-based organizations in service delivery. The objective of the knowledge exchange event was to provide participants with first-hand experience of COIN’s operations. This included a detailed explanation of how the entity has coordinated and collaborated with the Ministry of Health, other civil society organizations and stakeholders in delivering comprehensive HIV services in communities and to key populations. Nine persons from three countries, Jamaica, Suriname and the Republic of Trinidad and Tobago, were involved in the learning exchange event. The team consisted of National AIDS Programme Managers, civil society organization (CSO) representatives, HIV clinicians and social workers. The event encompassed participants engaging with officials of the Ministry of Public Health and Social Assistance, the National HIV response and community-based organizations through site visits to clinics and outreaches. The learning exchange was spearheaded by Dr. Shanti Singh-Anthony, PANCAP Knowledge Management Coordinator.